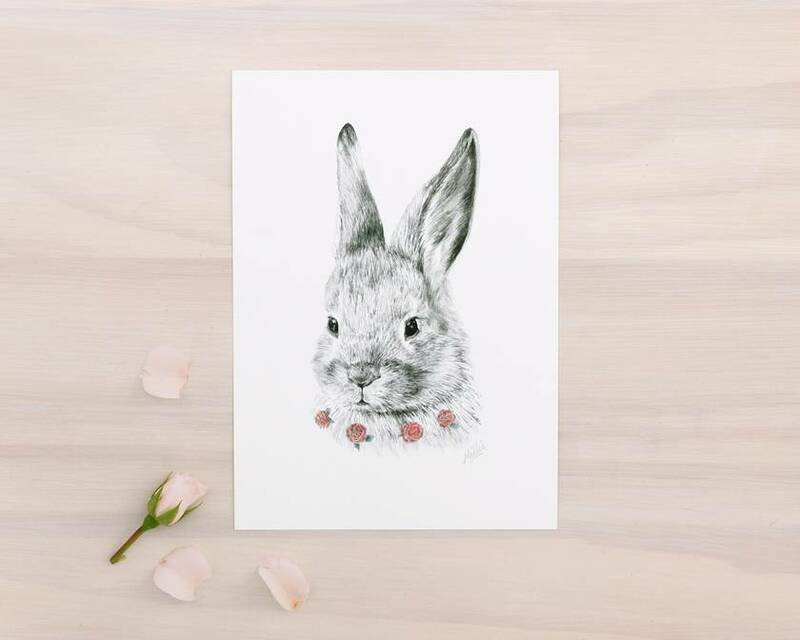 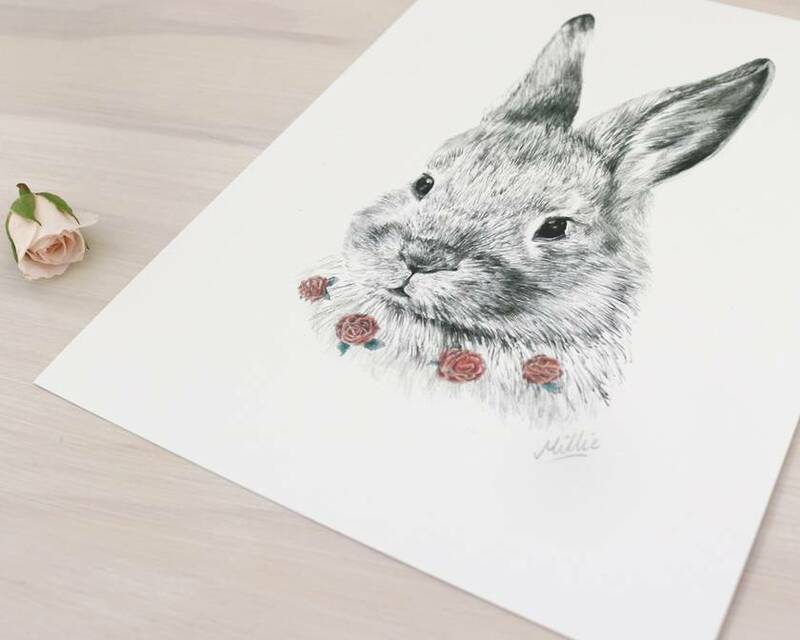 Contemporary art print by Millie Strong, featuring a pencil and watercolor portrait of a sweet shy bunny with a necklace of miniature roses. 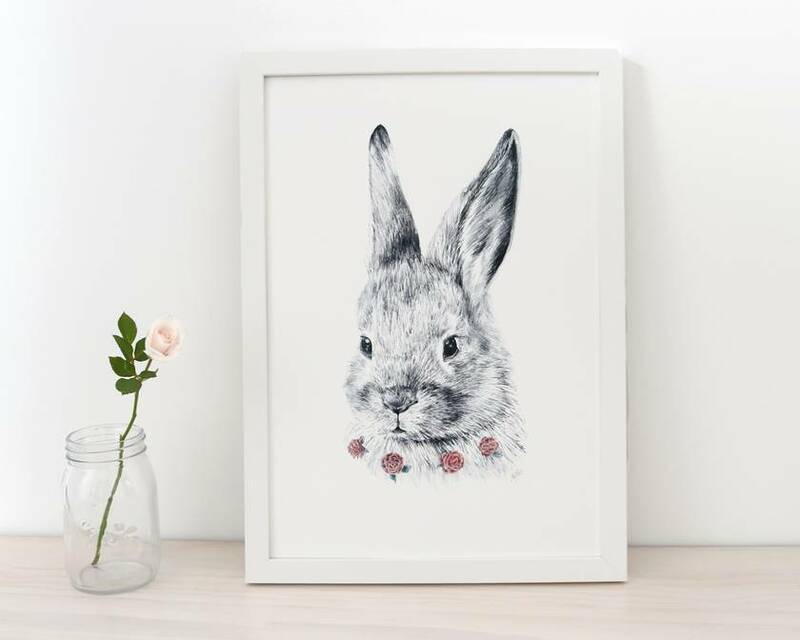 Feel free to message your request if the size you would like isn't currently listed. 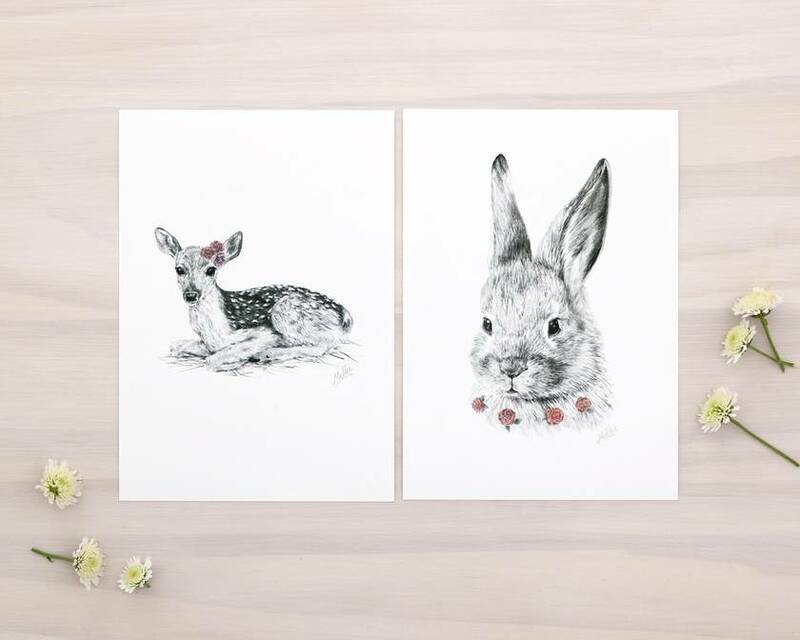 Packaged in a clear bag and posted in a cardboard envelope for protection.